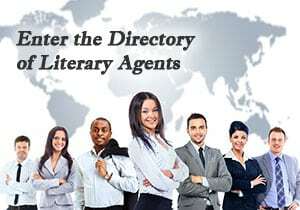 Query Letter Help – Do you have questions about writing an agent query, or do you want to get a query letter critique? Mark Malatesta is a former NY Times bestselling literary agent offering three different ways (free to fee) for you to get 1-on-1 support for your agent query, book proposal, and anything else related to your book(s). However, before you take advantage of the options he’s offering below, make sure you first read his free 15-part How to Write a Query Letter Guidelines. There are three different ways that you can get personalized help and/or 1-on-1 support from Mark Malatesta regarding your agent query. There is a special area on this agent query website where you can post questions for Mark Malatesta and work with him 1-on-1 to get help with your agent query. You can ask Mark anything about book publishing, including questions about writing agent queries. There is no charge to post questions, so… click here now to Submit Your Question About Writing Query Letters. If you want Mark to give you feedback about your query letter (or anything else), schedule a 1-hour introductory coaching call. You can speak with Mark by phone (or Skype if you won’t be in the United States during your session). Before your conversation, Mark will send you a detailed author questionnaire and review any/all of the following that you have available: your query letter, book idea, sample chapters, book synopsis, book proposal, etc. Click here to learn more and Schedule a Query Letter Critique with Mark Malatesta. This offer for query letter help is not available for past or existing coaching clients. This option is for serious authors who want personalized book publishing support and coaching over a longer period of time. Mark Malatesta works with a small number of authors in longer-term coaching programs 1-on-1 to develop their work, get top literary agents, and/or market their books after they’re published. Mark works with authors of all genres (fiction, nonfiction, and children’s books), around the world, in these programs. And he works with authors at all stages of development (published and unpublished). If you’re interested in working 1-on-1 with Mark for query letter help and/or support in other areas, you must first schedule an introductory coaching call (option #2, above) as a first step to see if you’re a good fit.